A couple with different personalities (she's emotional, he's pragmatic), but nonetheless sharing a strong bond, see their happiness tested the day they decide to move on to a new stage in their life together: starting a family. After several fruitless attempts, they turn to fertility treatments, with all the highs and lows the process can entail. We follow their adventures, inevitably coloured by their very different ways of seeing things. -Through humour, the author and illustrator manage to translate into words and images a reality in which many couples feel isolated. 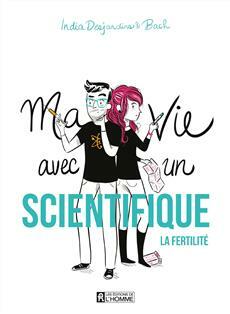 -The comic strip challenges certain taboos and throws into question the opinions and judgments we sometimes hear about the fertility process. -Well-presented texts, finding the right balance between humour and emotion, and funny and touching illustrations.